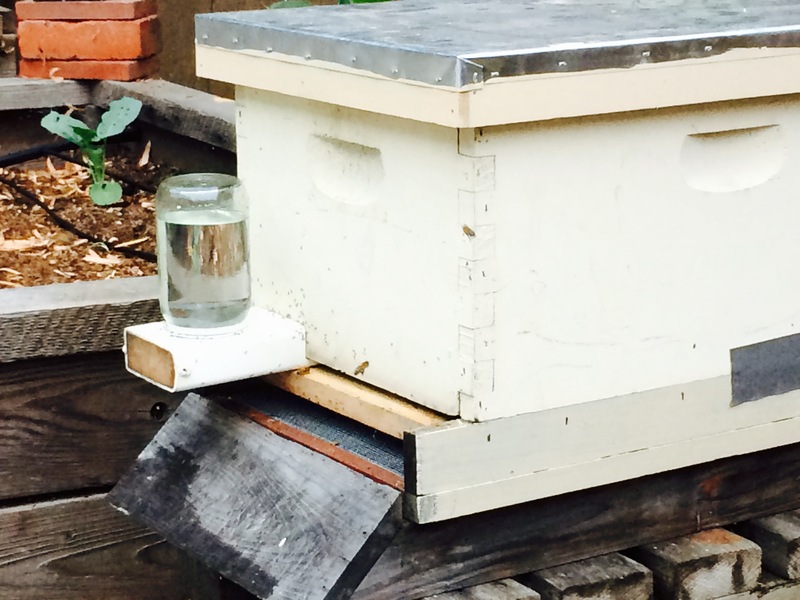 Pardon the vertical video – it was the best way to capture my bees coming in for a landing in slomo. With the sunlight behind them, you can see their bellies full of nectar. 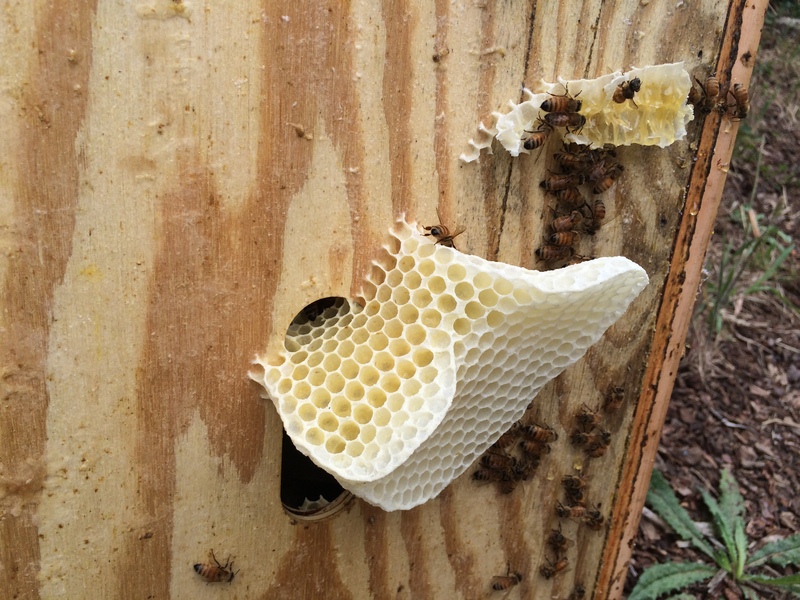 All four of my hives are thriving, and I’m happy to report that Grandpa’s hive has doubled in size since I put it in the back yard two months ago. 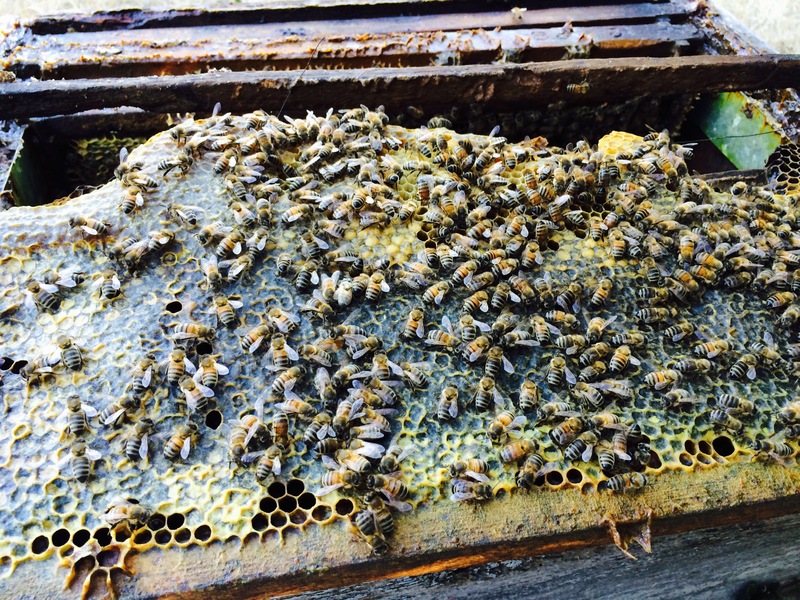 The other day, I opened my hive to discover my bees clinging together like a cluster of grapes, “festooning,” the fancy word for bees making wax. 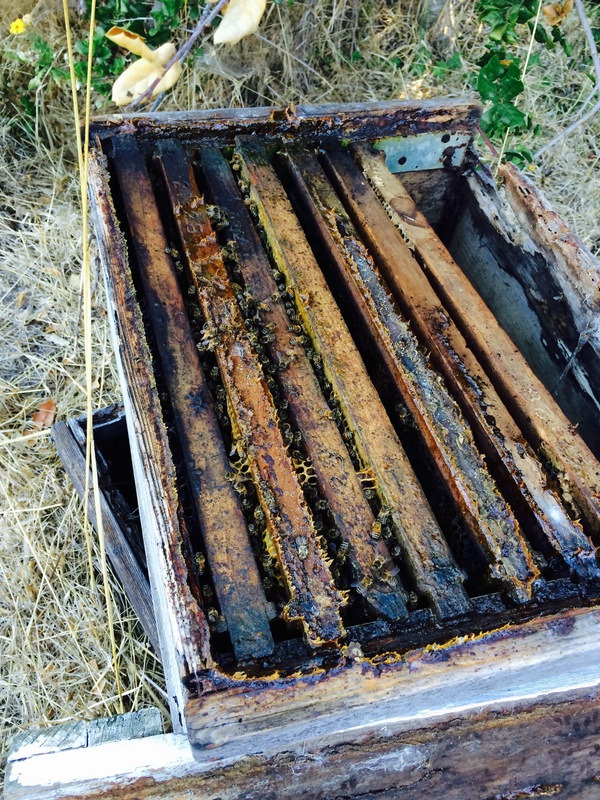 In the hot months I like to put an empty box on top of the hive to help with circulation, but the bees decided they wanted to fill it with honeycomb. 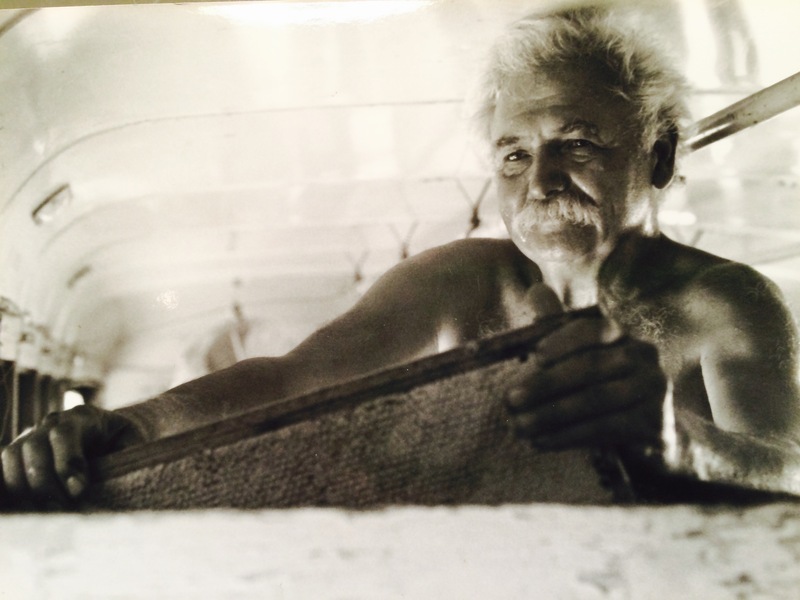 “Usually only young bees are capable of making wax, but, when necessary, older bees can turn the trick, in the same way a retired craftsman can, in an emergency, recapture a former skill. 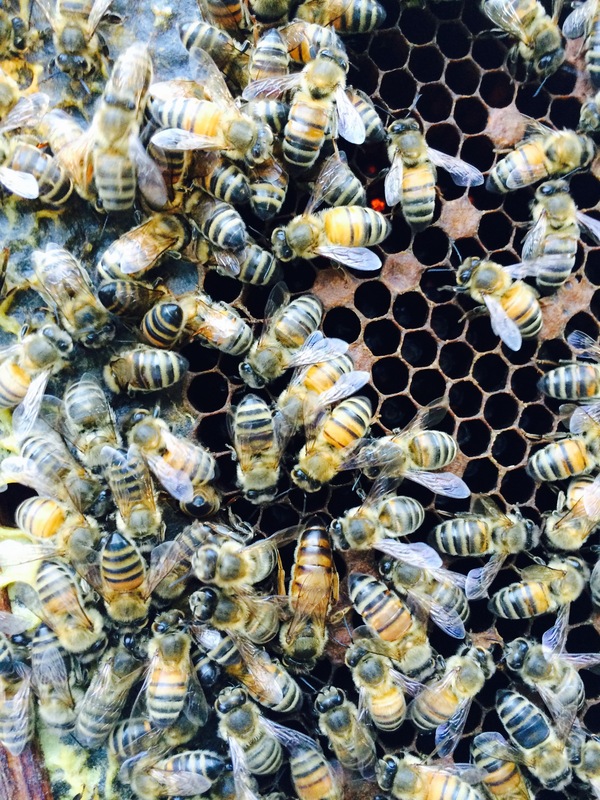 After eighteen to twenty-four hours of clinging together, the temperature climbs to about eighty degrees Fahrenheit and a strange thing happens — tiny wax flakes appear on eight small, pocket-like glands on the abdomens of young bees. 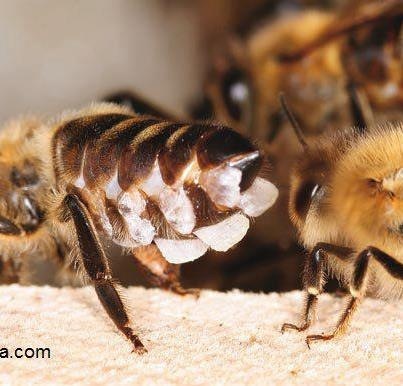 The bee scrapes off the wax with her forelegs and kneads and chews the secretion in powerful jaws until it is a soft, pliable ball. She frees herself from the clinging mass and deposits the wax at the base of the sheet of wax foundation with its hexagon imprints. 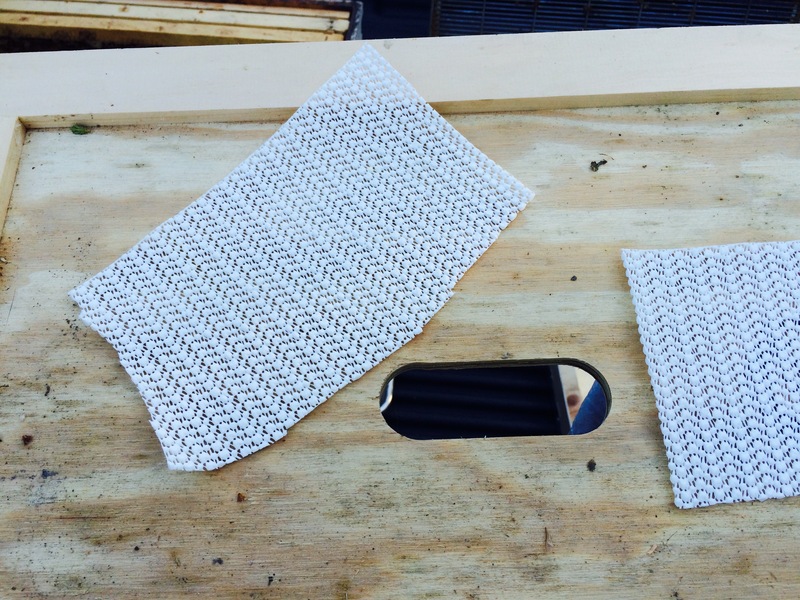 Quickly she moves away, and another bee takes over, perhaps a celebrated architect or artist, who pushes and tugs at the soft wax, drawing it out into the hexagon shape. 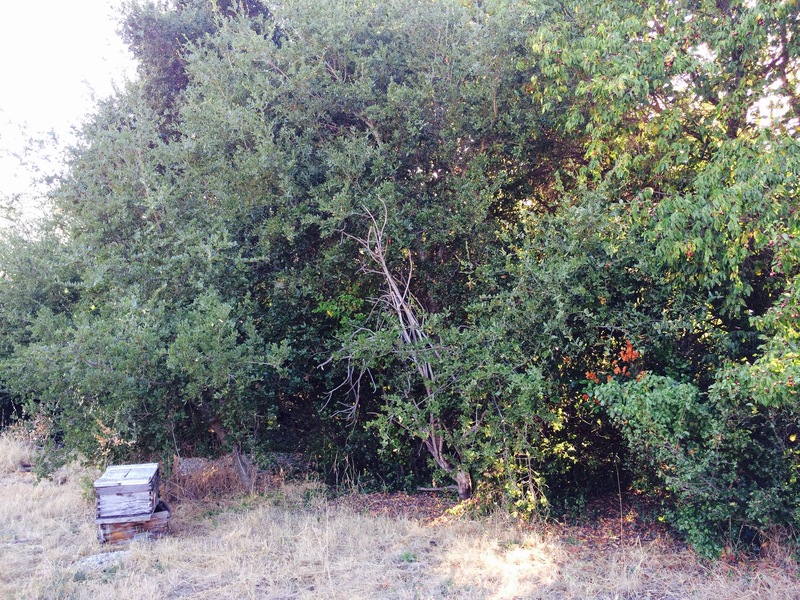 A friend recently told me she wanted to move her beehive across the yard, about 10 feet from its spot. 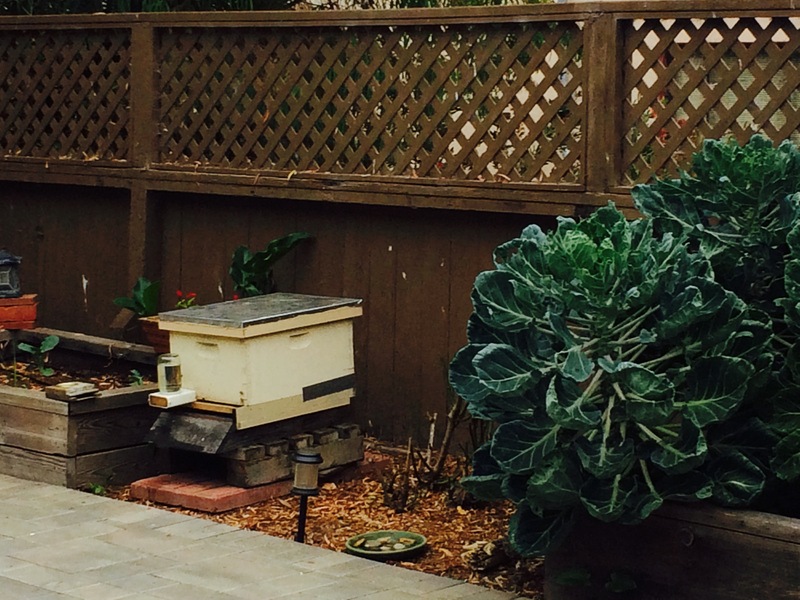 As incredibly smart as bees are, they can’t find their hive if you move it to a different place in the same bee yard. They will return to the old location, circle in a confused cloud, and perish overnight while their home is sitting, literally, feet away. 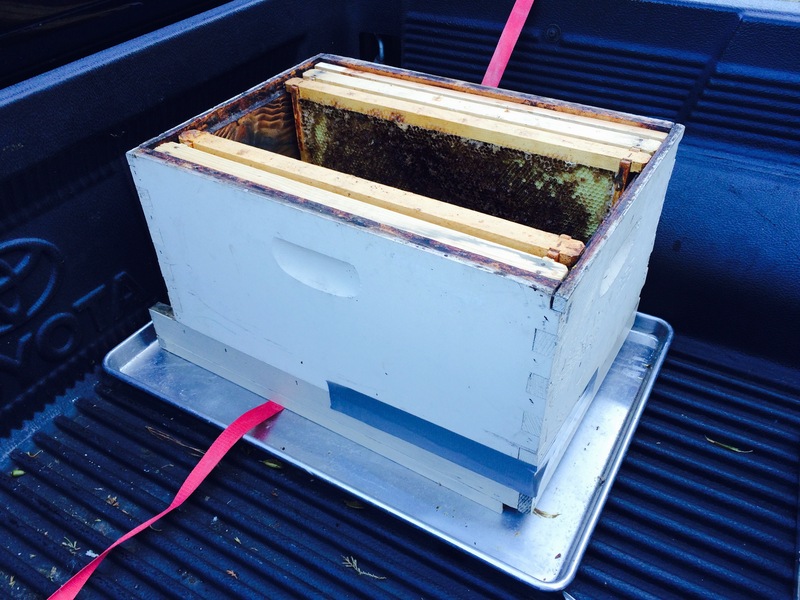 So if you want to move your hive, you have to shift it less than a foot a day, to let the bees acclimate, until you have your hive where you want. You move it miles away. 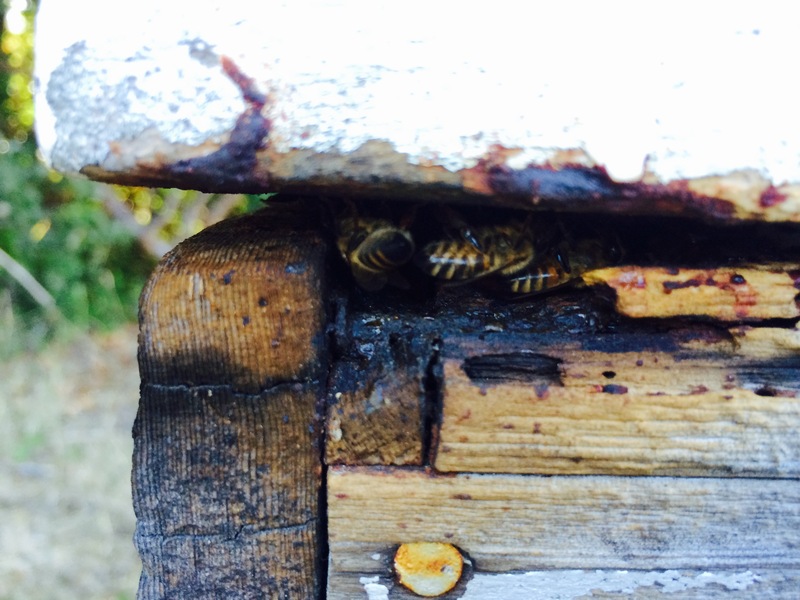 The bees will sense they are in unfamiliar turf, make short exploratory flights until they orient themselves and then settle in to their new zip code. 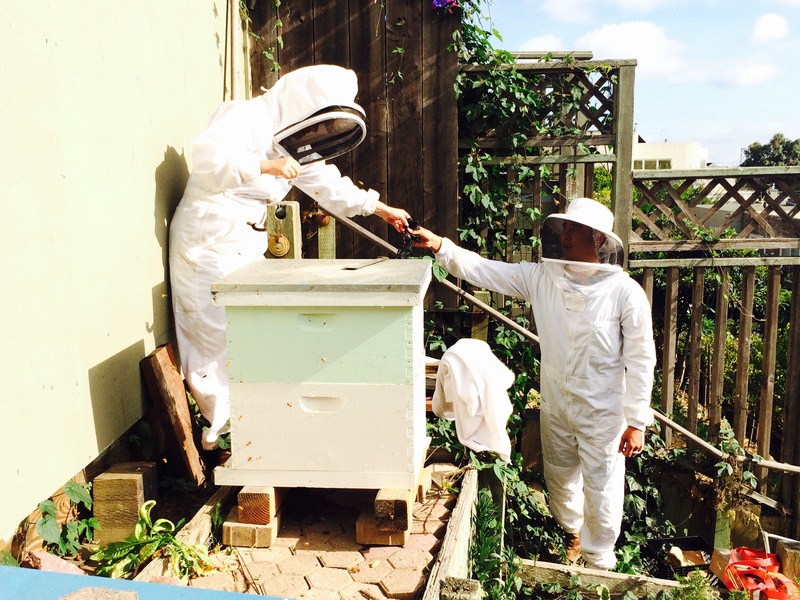 So, how do you move a live hive of bees? Carefully. 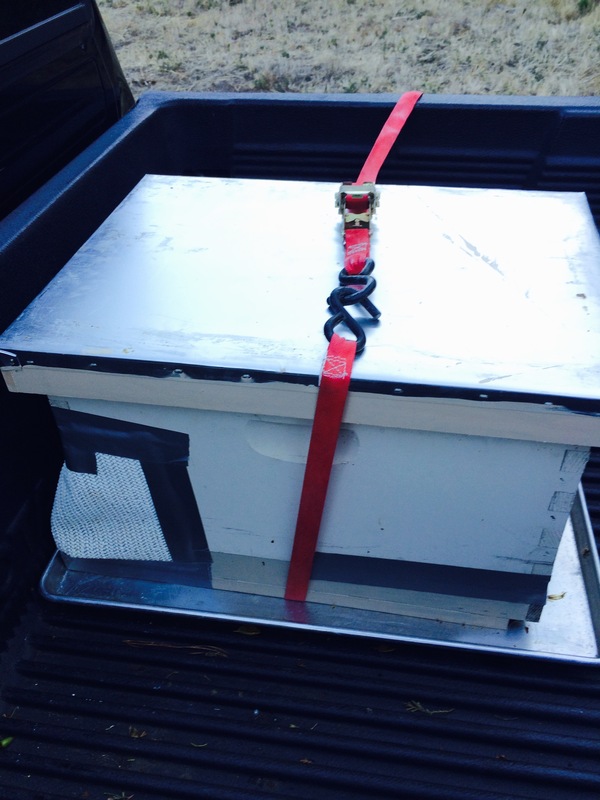 You need ratchet tie-downs to secure the hive boxes. 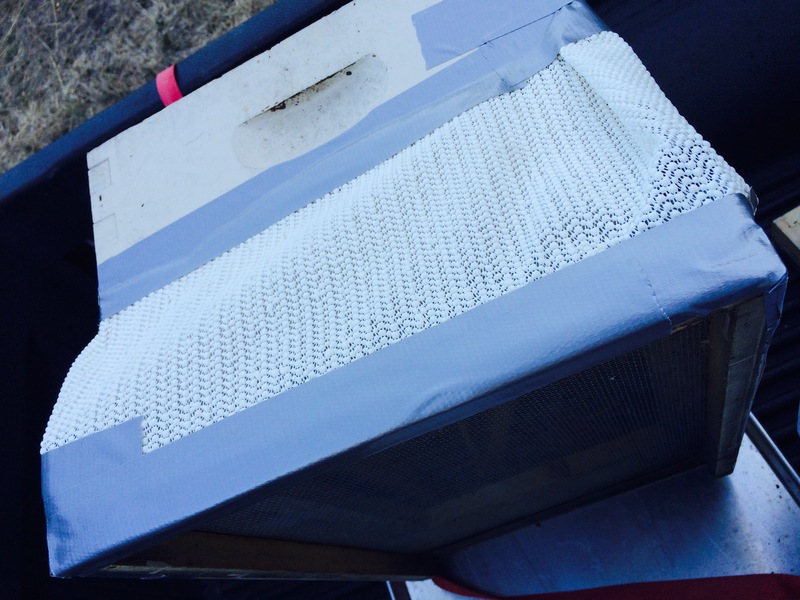 You need to staple mesh over the hive entrance to keep the bees inside during transport. 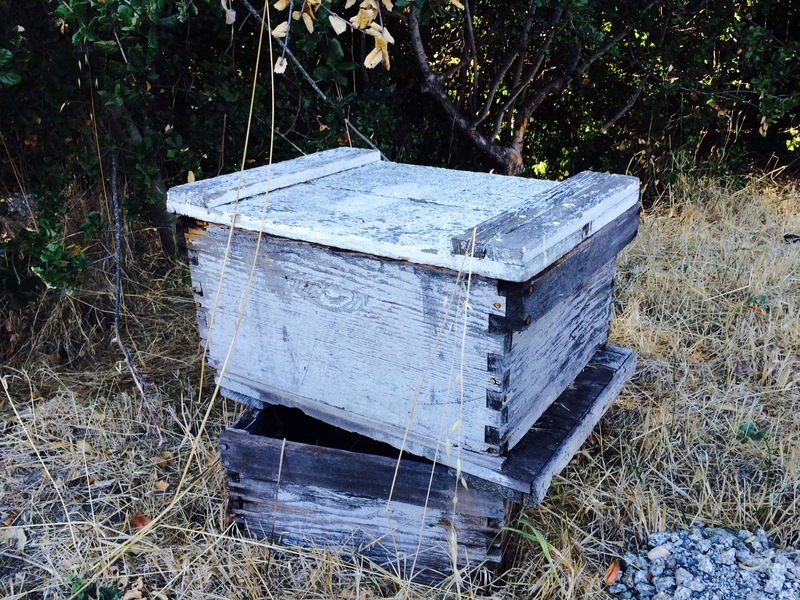 And you should move it either before dawn, before the bees wake, or late after sundown when they have returned from foraging in the sunlight. 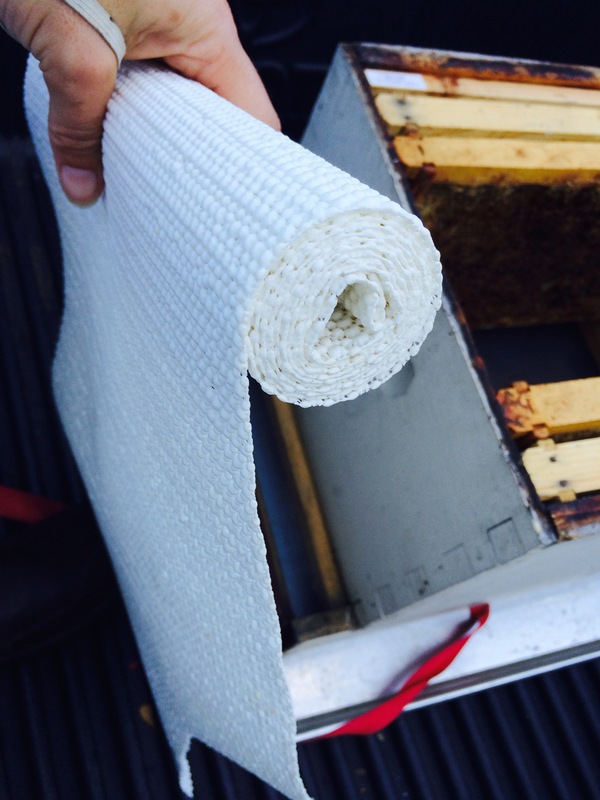 That way you won’t strand thousands of bees while they are out collecting nectar and pollen. 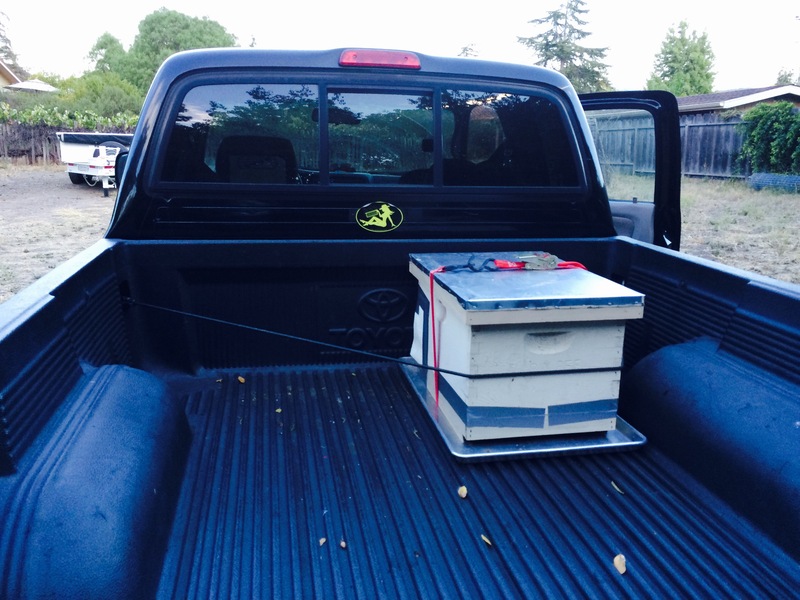 Put the hive in a truck bed, tie it down again, and drive like there are infinite tomorrows. Make ’em honk! 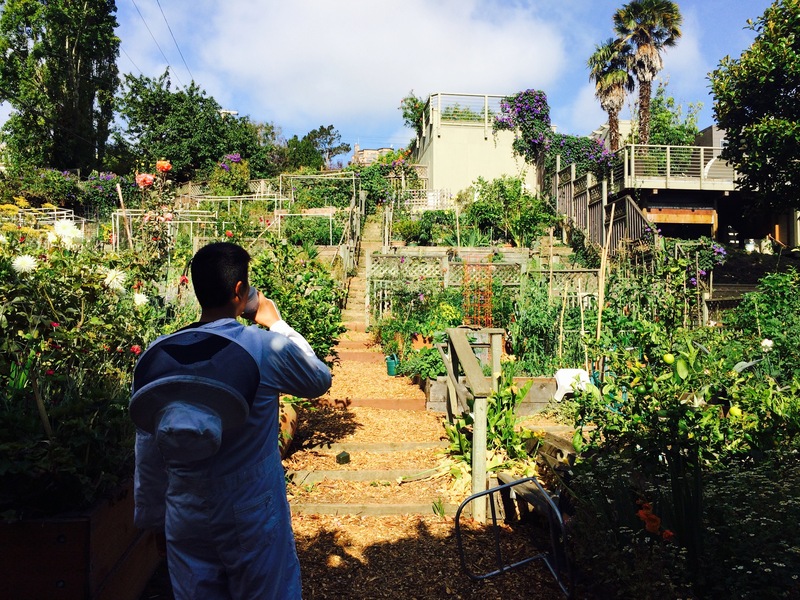 Today some friends and I relocated a hive to Connecticut Friendship Garden in San Francisco’s Potrero Hill neighborhood. 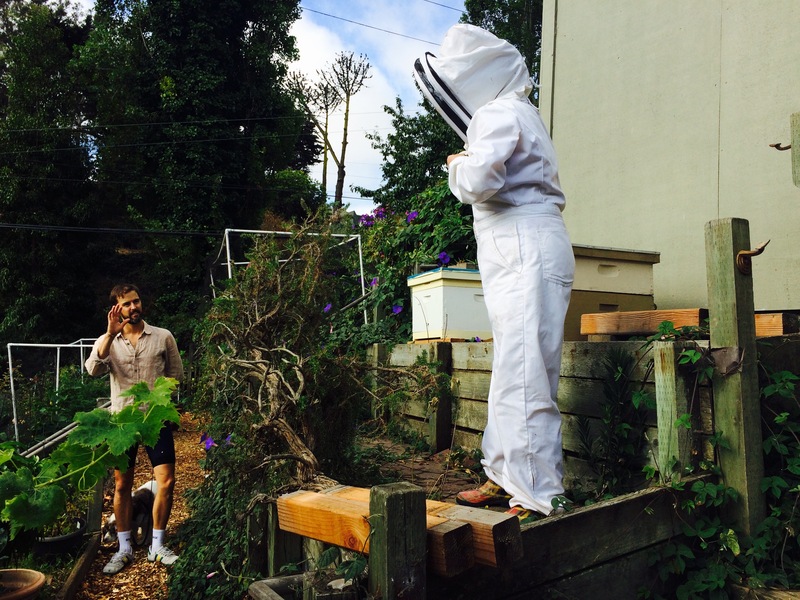 Happy to report my bee operation, and my heart, are both expanding. 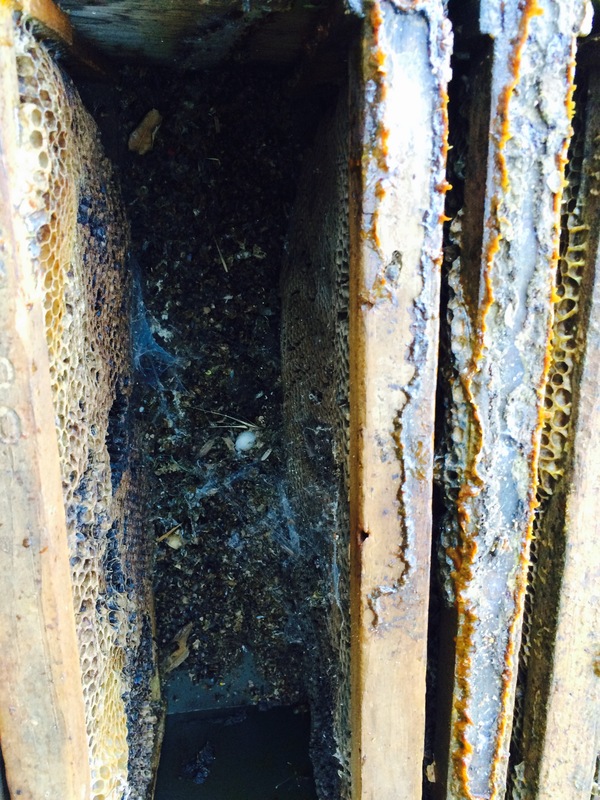 Curious what the inside of the hive looks like from a bee’s POV, I put my iPhone at the entrance with the lens facing inward, and pressed video slomo. What I captured was pure comedy, and another life lesson: When you lose your footing and fall down, inspecially in front of a crowd, there’s nothing you can do but dust yourself off and take another step forward. Like it never even happened.